If you’ve never read anything by Anna Quindlen, you are in for a huge treat. She is a #1 New York Times Bestselling author and Pulitzer Prize-wining columnist. In 1985 Quindlen left The New York Times to stay at home with her two young sons and work on a novel, but she returned in late 1986 to write the “Life in the 30’s” column. Within two years it was being published in some 60 newspapers. 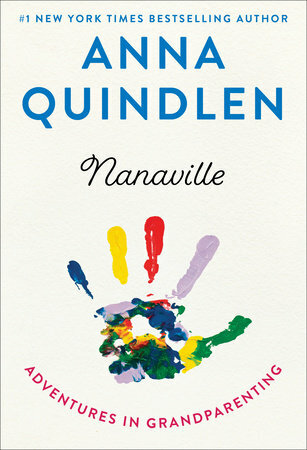 Before blogs existed, Quindlen was the ‘go to’ writer on the joys and challenges of family. The birth of her daughter in late 1988 led her to quit again, but a year later she was lured back to The New York Times, this time with an offer to write a column on the op-ed page. “Public & Private” began early in 1990, and her popularity continued to grow. Quindlen was noted for seeming to speak directly to each of her readers about the issues that concerned them, and she brought an insightful, personal view to political, especially gender-specific, issues. Now, she has gone “full nana” by turning her attention to the powerful new life stage of being a grandmother. 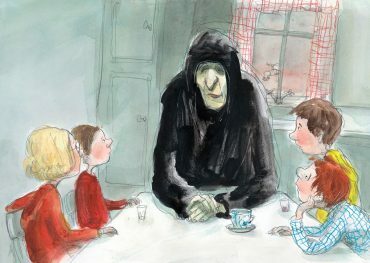 Her book, Nanaville – Adventures in Grandparenting is a bighearted book of wisdom, wit, and insight, celebrating the love and joy of being a grandmother. New York Times #1 bestselling author Richard Eyre contends that the three things today’s society desires most—control, ownership, and independence—are, paradoxically, the very “false goals” that bring the most discouragement and unhappiness in our lives. For more than 30 years, Richard, along with his wife Linda, have been writing books for parents on families, life-balance, and parenting. The Eyres are authors of numerous work/family balance and parenting books, one of which, Teaching Your Children Values became the first parenting book in fifty years (since Dr. Spock’s Baby and Child Care) to reach #1 on the New York Times bestseller list. Richard and Linda Eyre have been among the most prominent and popular speakers in the world on topics of parenting, life-balance, and family-strengthening. 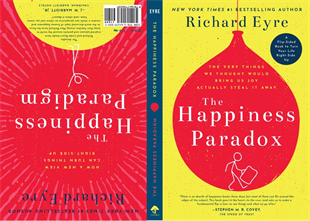 Presenting as many as 100 keynotes, lectures, seminars, and workshops a year, Richard’s new book, a two-in-one solution for happiness seekers called The Happiness Paradox. According to Linda Eyre, Richard has been working on this book for 30 years.